Intimacy can be found everywhere, we can look inward and into our own lives, our bodies or our intimate experiences, or those of our family and friends. And we can find intimacy in the streets, in the bus or train, in a bar or park. We can find intimacy in landscapes and urbanscapes, in how a place feels, in how we feel or think, in any given day, in any given place. Many artists find that their best work is inspired by the personal physical or mental spaces in which they dwell. By photographing the people and places with whom they are intimately acquainted, they are able to communicate a more profound level of understanding through their images. This workshop enables students to enhance their vision and style while delving deeper into the emotions and nuances of their lives and what is around them, their surroundings, any experience that they encounter. During this intensive 7-day workshop, participants will be guided in the conception and realization of a personal photo project in New York City. Students’ portfolios will be discussed at the beginning of the workshop and each student will receive personalized feedback and exercises for improvement. The work of photographers such as Jen Davis, Richard Billingham, Emmet Gowin, Nan Goldin, Larry Sultan, Leigh Ledere, Tierney Gearon and others will be shown and inform class discussions, deconstructing a variety of examples to further the student’s own work. Students are encouraged to break through the boundaries between themselves and their subjects as they work on their own project over the course of this intensive one week workshop. This workshop will encourage students to find intimacy, to use this intimacy they find in order to investigate, comment on, and reveal the spaces and people their lives brings them to. Elinor will talk about all the aspects of both her work and the industry, and the intimacy both in her personal work but also how her intimate approach to photography led her to editorial and commercial jobs, and how she applies her style to those projects. She will share with the students her view on teaching, working with galleries, clients and so on, for a truly intense and complete workshop experience. from Monday August 13 to Sunday August 19, 2018. Please come to the first session with a collection of digital or printed images of your work and some ideas for the personal project you will pursue during the week. Born 1971 in Jerusalem, Israel, Elinor Carucci graduated in 1995 from Bezalel Academy of Arts and Design with a degree in photography, and moved to New York that same year. 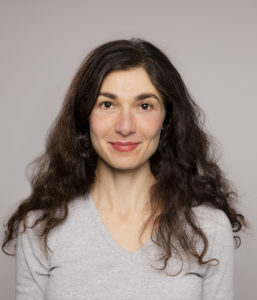 Her work has been included in many solo and group exhibitions worldwide, solo shows include Edwynn Houk gallery, Fifty One Fine Art Gallery, James Hyman and Gagosian Gallery, London among others and group show include The Museum of Modern Art New York, MoCP Chicago and The Photographers’ Gallery, London. Elinor Carucci photographed by Nick Rapaz, 2016.